There are 37 days left in the PGCBL regular season, which ends on July 30. Amsterdam 15 Adirondack 2: The Amsterdam Mohawks tied the PGCBL lead for runs in a game this season with 15 as they beat Adirondack, 15-2, at Shuttleworth Park. Adirondack scored first with two runs in the top of the first. Luca Farina scored Kyle Walker with an RBI double and then came around to score on a Chris Kwitzer RBI single. Brendan Tracy tied the game at two for Amsterdam in the home half of the inning with a two-RBI double. Riley Mahan gave Amsterdam the lead in the bottom of the second on an RBI single and Hunter Tackett hit a three-run home run later in the inning. In the bottom of the fourth, Tracy hit a solo home run to extend the lead to 7-2. A fielder’s choice added another run in the inning. The Mohawks made it an 11-2 game in the sixth on a Tyler Kirkpatrick sole home run, a fielder’s choice and a 5-3-5 double play. A Macy Holdsworth two-RBI single added a pair of runs to the lead in the seventh and Tracy hit his second home run of the game, a two-run shot, in the eighth. Brad Schaenzer tossed five innings and allowed two runs (both earned) to pick up the win. Tyler Childrose allowed 11 runs (seven earned) in five innings of work in taking the loss for Adirondack. 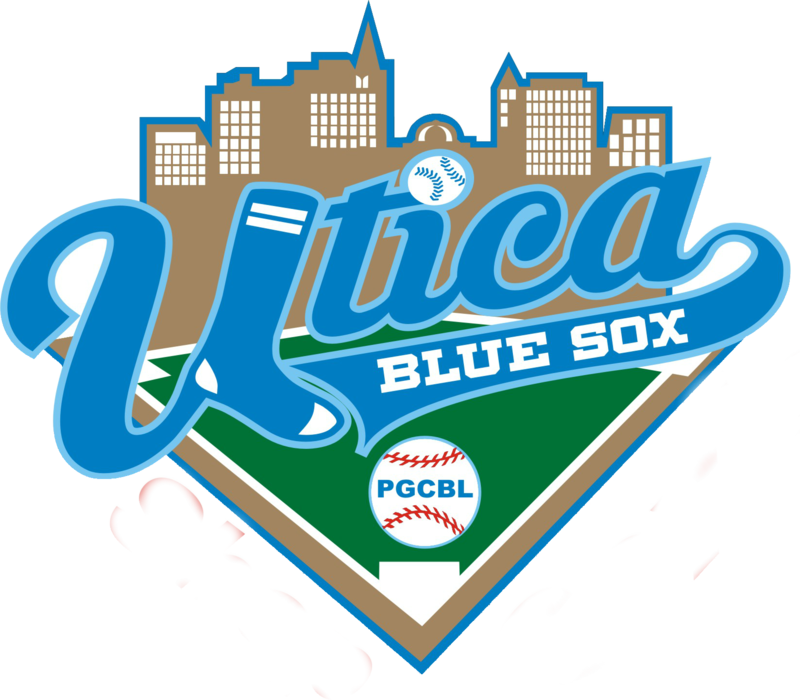 Mohawk Valley 6 Utica 4: The Mohawk Valley DiamondDawgs scored three runs in the top of the ninth inning to defeat the Utica Brewers, 6-4, in Utica. Utica struck first in the bottom of the first on a Kyle Schade RBI groundout. Mohawk Valley responded in the top of the second with a lone run on a wild pitch and took the lead in the top of the fifth on a sacrifice fly and an RBI groundout. The Brewers came back in the home half of the fifth with three runs to take a 4-3 lead. Schade hit a two-RBI single to tie the game and a Dan Vucovich RBI single to take the lead. An infield single by Matt Pagano in the top of the ninth tied the game at four for Mohawk Valley. The DiamondDawgs scored two more runs in the inning on a Chris Rave single, to take the lead for good. Zachary Vennaro tossed three scoreless innings of relief to earn the win for Mohawk Valley while Krystien Johnson-Batillana allowed the three ninth inning runs to take the loss. Newark 7 Elmira 6: The Newark Pilots capitalized on an Elmira error in the bottom of the twelfth to beat the Elmira Pioneers, 7-6, at Colburn Park. A Christian Santisteban error on a ground ball allowed Kevin Biondic to score and gave Newark the win over the West Division leaders. The win in the twelfth came after some tenth-inning magic. In the top of the tenth, Timmy Delph led off the inning with a single, a fielder’s choice had Will LaRue reached base. LaRue promptly stole second base before coming around to score on a Justin Hayes single to take a 6-5 lead. Down to their last out, Newark rallied to tie the game as Ryan Lynch drew a bases loaded walk. A Santisteban RBI groundout plated the first run of the game in the top of the first. Newark came back to take a 4-1 lead in the bottom of the second. An RBI groundout, an error, a Kyle Norman RBI single and another RBI groundout accounted for the four runs. Elmira cut the lead to two in the next half inning on a Justin Hayes RBI double that scored Delph. A Delph RBI groundout made it a one-run game and the Pioneers scored two runs in the sixth on a Tommy Mirabelli RBI triple and a Taylor Hillson RBI single to take the lead. A Mark Martin sacrifice fly for Newark in the bottom of the seventh tied the game at five. Vinny Martin tossed two scoreless innings of relief to earn the win while Michael Scarinci took the loss for Elmira. Albany at Saugerties: The game was postponed and will be made-up in a doubleheader on June 30. 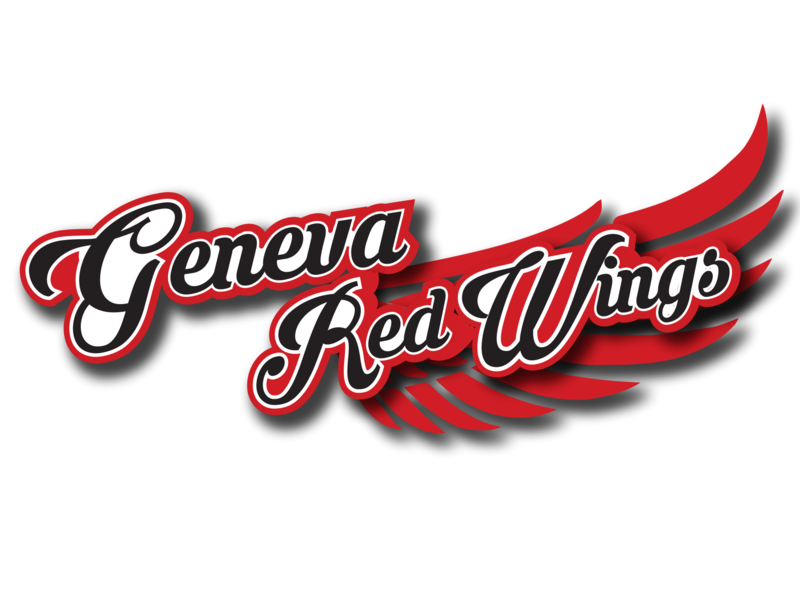 Victor at Glens Falls: The game was postponed and will be made-up in a doubleheader on July 11. 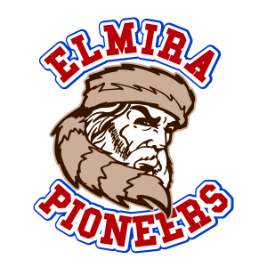 Elmira at Victor 5 p.m.: After two straight nights off, the Victor RailRiders will host the Elmira Pioneers. 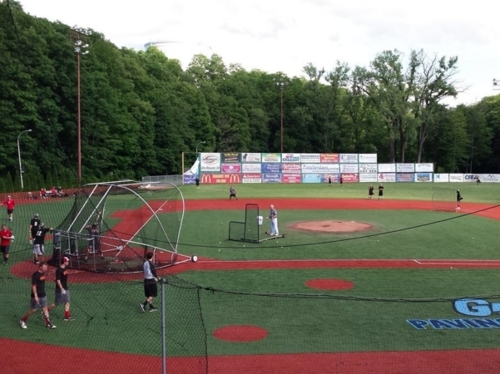 Glens Falls at Albany (DH) 5:05 p.m.: Both the Albany Dutchmen and Glens Falls Dragons had their game postponed on Tuesday, but they’ll play two at Bob Bellizzi Field on Wednesday night. 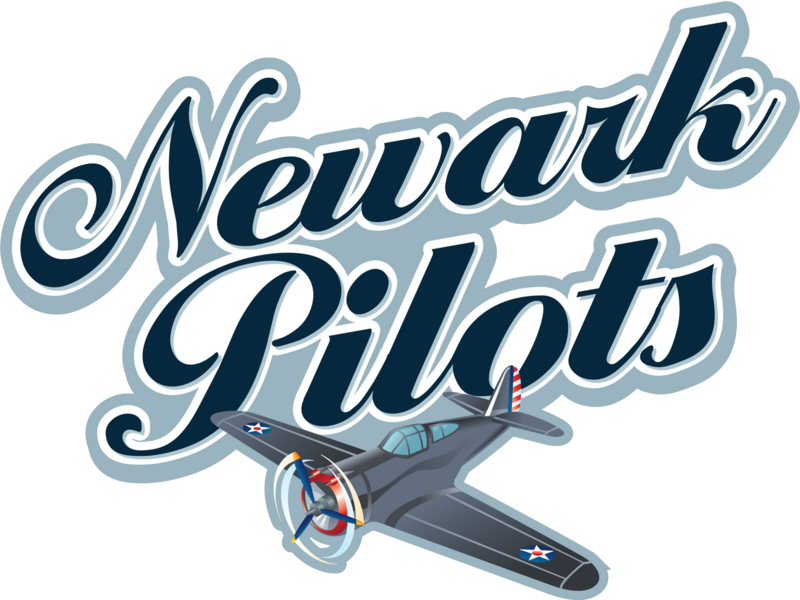 Newark at Utica 6:35 p.m.: Coming off a win against Elmira, the Newark Pilots will travel to Donovan Stadium to take on the Utica Brewers. 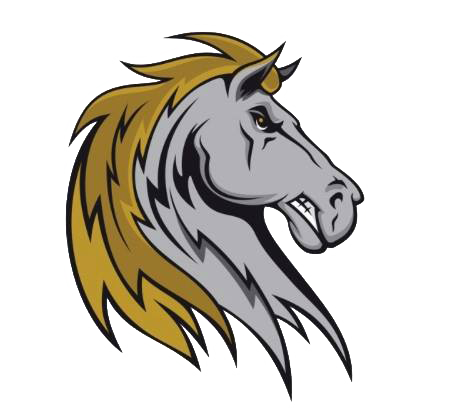 Amsterdam at Saugerties 6:35 p.m.: The Amsterdam Mohawks and Saugerties Stallions will face off for the fifth time this season on Wednesday night in Saugerties. 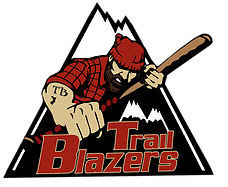 Mohawk Valley at Adirondack 7 p.m.: Coming off a loss against Amsterdam, the Adirondack Trail Blazers will play host to the Mohawk Valley DiamondDawgs on Wednesday.